STEAM TEAM offers a range of products, services and solutions in the use of steam and energy for industrial plants in Southern Africa. Our areas of expertise and product range covers steam heating, steam reticulation, waste heat recovery, flue gas pollution control, steam injection, power generation and related technical services. Refer to the Products and Services sections for the scope or equipment, parts and services offered by STEAM TEAM and the companies we represent. 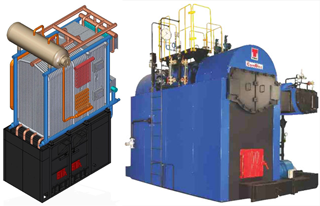 In addition to our own expertise, professionalism and competence, STEAM TEAM brings high technology products from India and the USA through strategic alliances with THERMAX India Cooling and Heating Services SBU (Special Business Unit) and ProSonix . We offer our clients access to our own, as well as our associates’, experience and project skills to conceptualise; undertake basic engineering; detailed design and fully implement new or more efficient systems or process equipment. STEAM TEAM is continuously assessing its performance and quality of service as the platform for further improvements. The assessments are based on the accuracy of our engineering and project work and whether our Client's particular needs and scopes of work were met.